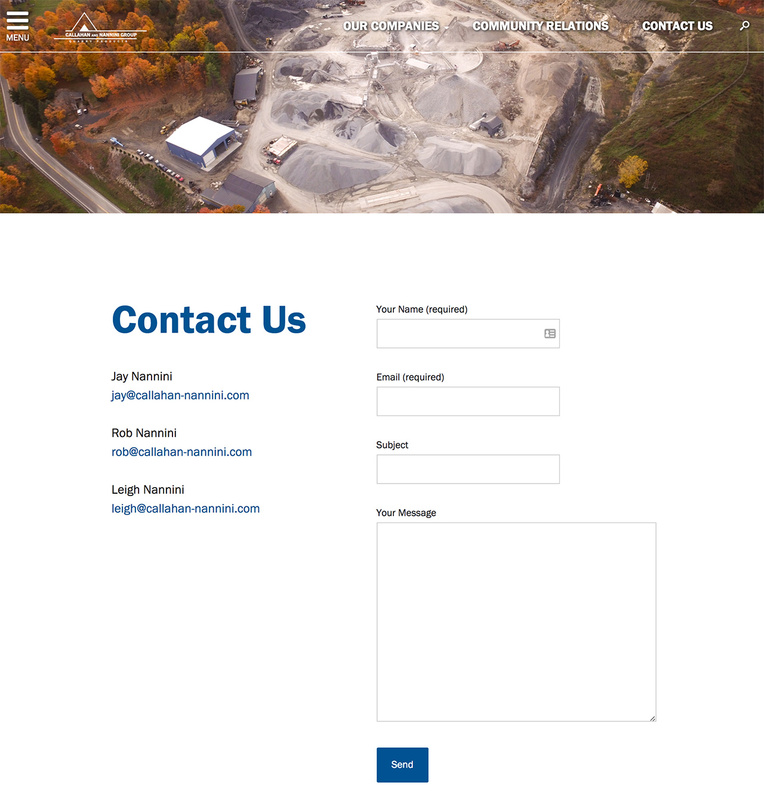 Callahan and Nannini Quarry is a leading company in the quarry industry with sustainable practices and a recycling program. In the past, Social Ink helped them to design a new organizational identity and develop a CMS-powered website. 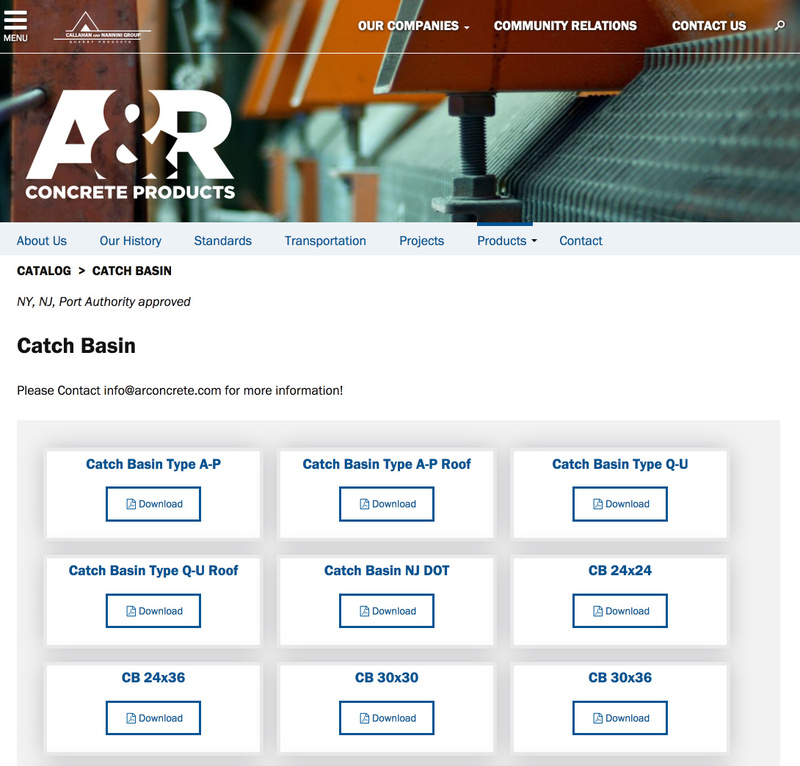 As the years have gone by, new developments in the CN’s business, as well as new technical and design opportunities presented the perfect opportunity to revisit the site and implement new features, organization, and a brand new design. 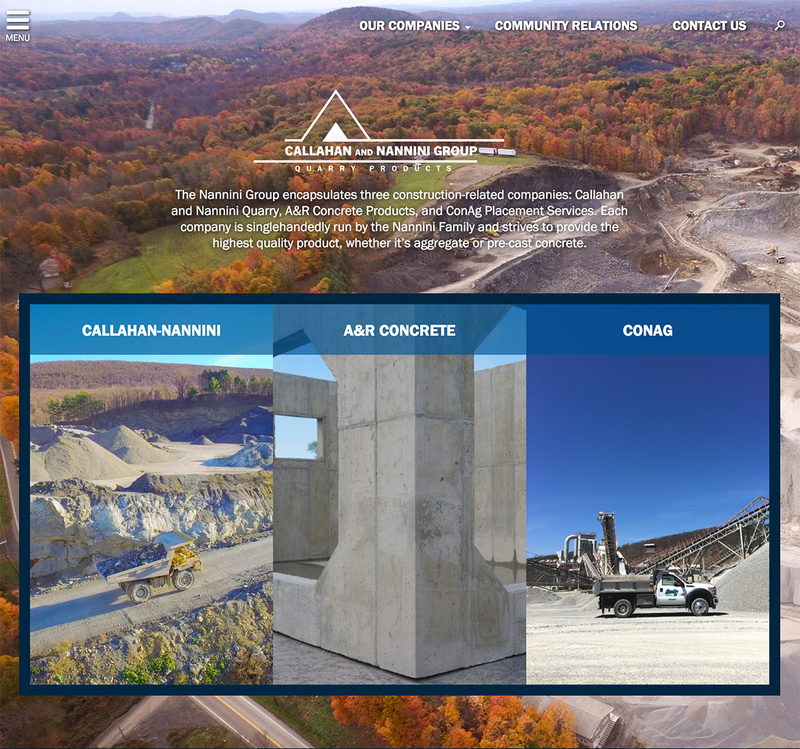 The new site debuts the Callahan and Nannini Group, the expanded business comprising three construction-related companies. 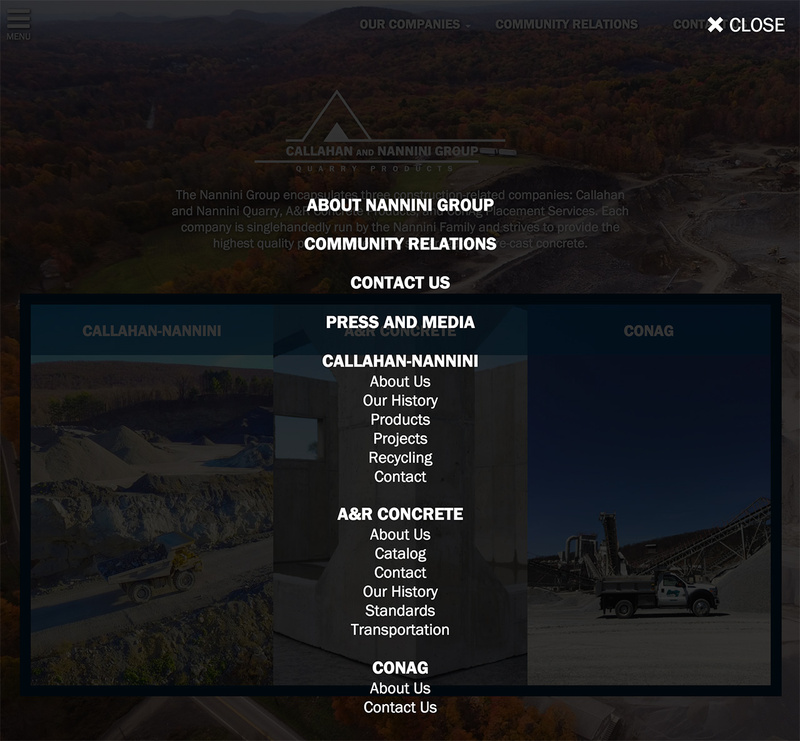 The new site unifies the various branches of Callahan-Nannini’s business. Features of the project include a more streamlined back-end for administrative entry of new content types, a lightly updated logo, and a brand new design for the homepage, navigation elements, and internal templates. The new site showcases products and projects, including a detailed product catalog, as well as services, media and history sections, and illustrative full bleed photo displays. 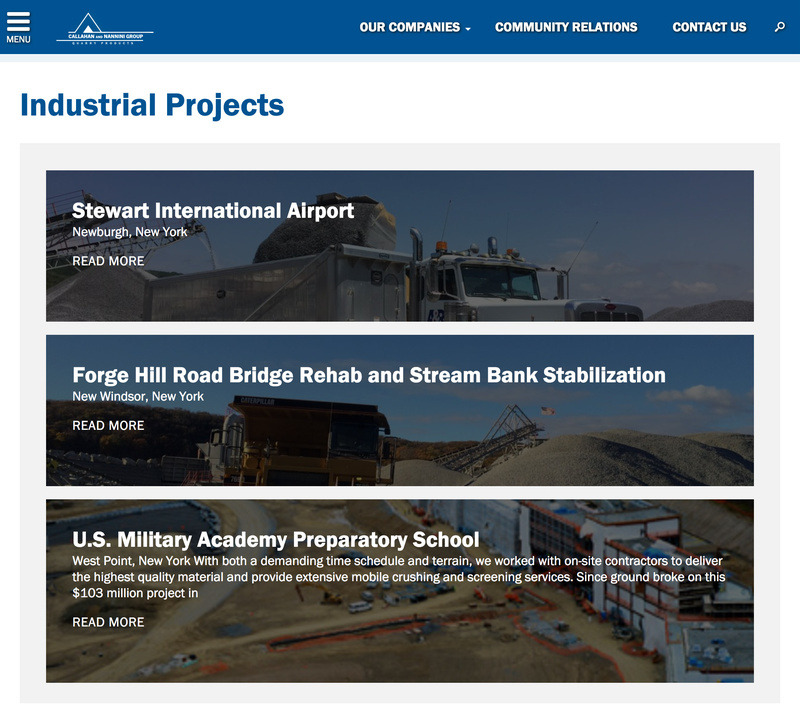 The site is responsive on a multitude of browsers, screens, and phones. We’re happy to continue work with long term clients as they improve and consolidate their digital platforms into the future. 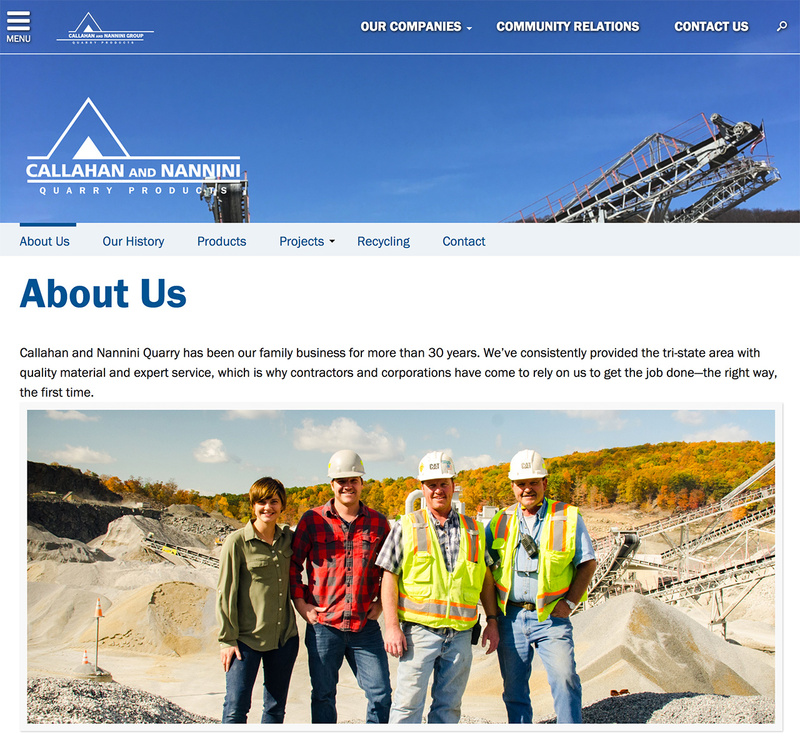 Our projects with Callahan and Nannini are another example of our great work on websites for small businesses!